I hope if you are reading this blog you are a already a subscriber to the Financial Times – but if you are not, you should be. The features they have been doing on the “Future of Capitalism” have been generally exceptional and today’s entry is no exception. Please read this piece on “Bank Regulation” – which outlines a roadmap for the G20 meeting. Bottom line – Holy Smokes. This is indeed a tall mandate for international cooperation the likes of which we have never seen. Another tidbit I found particularly interesting today was the deal struck between China and Argentina. “China, which is pushing to end the dominance of the dollar as a worldwide reserve, has agreed a RMB 70 bn currency swap with Argentina that will allow it to recieve renminbi instead of dollars for its exports to the Latin American Country.” They have been doing a number of these deals in pursuit of their interest ” to replace the dollar with an enhanced version of the IMF’s unit of account, the special drawing right or SDR.” Future of Us dollar as a reserve currency? Modified Bretton Woods says my hubby. Mindblowing…. 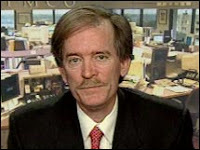 There is a new commentary out from Bill Gross of PIMCO. These are always must reads. Previous Post AIG – I QUIT!! !